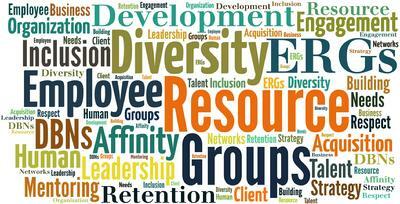 Employee Resource Groups (ERGs) are comprised of employees who are linked by social factors such as culture, gender, sexual orientation, or by a common interest or goal within an organization. The characteristics of these networks typically also include serving as a resource to other employees and the larger organization, and being inclusive and open to all employees. Typical groups that have formed include, but are not limited to Asian, Black/African-American, Generations, Hispanic/Latino, LGBT, People with Disabilities, Religion/Faith-Based, Veterans, Women. High performing employee resource networks contribute to achieving the company’s business goals and results. Serving as mentoring circles, helping bridge cultural gaps, building the careers of those getting started in the field/company - "navigating the company's cultural landscape"
Building / improving an understanding of the workplace / corporate environment expectations, without giving up one's cultural identity - "not checking who you are at the door"
Employee Resource Groups (ERGs), Diversity Business Networks (DBNs), Affinity Groups, and Business Resource Groups can play a key roll in an organization's Diversity & Inclusion, Human Resources, Leadership Development, Employee Engagement, Mentoring, Talent Acquisition & Retention, Organization Business Strategy, Meeting Client Needs, Building Diversity, and Respect. To explore the resources these groups can provide to both the employees (of this and the next generations’ leaders) and the organization (across silos), and the pathway it is creating from Diversity to the next phase, Inclusion, please click on the appropriate link below. Learn more below about NEGRON Consulting, our Consulting Services, the Clients we serve, the Workshops we offer, and ERGs through Related Articles.